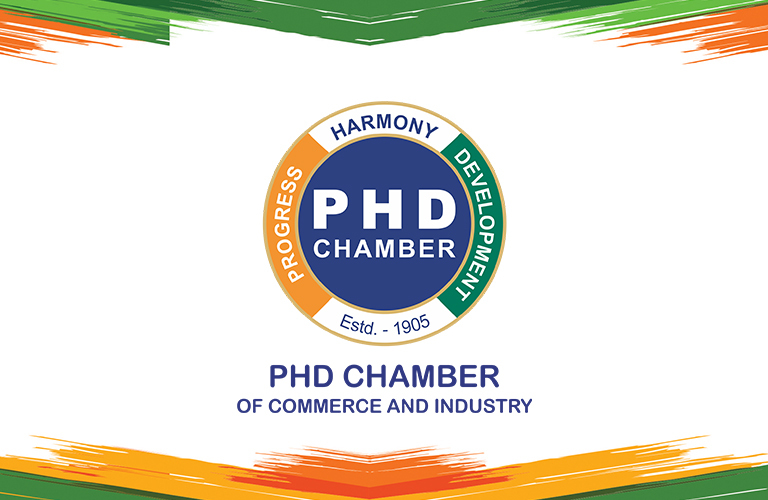 By supporting the Chamber, you will have the advantage of all the programmes organized in Delhi (except AGM) carrying the company logo in the backdrop and other advertising medium associated with it. Last year there were 140 programmes organized in Delhi and this year we hope to do as many, if not more. Placement of logo and branding: The branding opportunity for the Platinum sponsors will be in the first top lines of the Backdrop and other visible advertising opportunities followed by the Gold and Silver sponsors. The Platinum Sponsors will have the opportunity of placing their literature on the registration desk of the Programmes. Platinum Sponsors will get 10% discount on the Conference facilities of the Chamber; Gold sponsors will get 5% discount on the same for one year. The Secretariat will include the company logo on the backdrop, etc on receipt of sponsorship amount. The advantage of branding will be available to you upto one year from the date on which your payment is received by us.